Saturday's NBA playoff schedule features four matchups, and in each one a team can move within one win of clinching the series. In the first game, the Philadelphia 76ers (-1.5) can take a 3-1 lead over the Brooklyn Nets with a win in Brooklyn. In Texas, the San Antonio Spurs (-3.5) also can take a 3-1 advantage against the Denver Nuggets. The Milwaukee Bucks (-9) have taken a commanding 2-0 lead against the Detroit Pistons, and on Saturday in Detroit the Bucks can go up 3-0. The slate concludes with Game 3 between the Houston Rockets and the Utah Jazz (-2.5) with Houston looking to go up 3-0 in Salt Lake City. 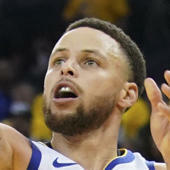 Fans across the nation will be placing wagers on these NBA odds Saturday, and sizzling NBA expert Mike Barner has you covered, locking in his three NBA best bets of the day. He enters on an astonishing streak, so before placing any NBA picks of your own, you need to see what he's saying about the action. Barner is a respected NBA Fantasy expert, both season-long and daily, whose work has appeared in Sports Illustrated and on Yahoo, RotoWire and KFFL. He also has been featured on ESPN Radio. He digs deep into the data, examining team trends and projecting game outcomes. With his unmatched analysis and 24/7 dedication, Barner spots opportunities against the spread as well as on totals. Barner's expertise has been on full display lately, as he has hit 64 of his last 117 NBA picks against-the-spread, a 55 percent win rate that's returned $867 to $100 players. Now Barner is all over Saturday's slate, putting together a three-team NBA parlay that could return a sweet 6-1 payout. We'll give one key part away: Barner is backing the Spurs (-3.5) at home against the Denver Nuggets. "With a loss Saturday, the Nuggets would find themselves in the unenviable position of being down 3-1 in this series," Barner told SportsLine. "As much as they need to win, they are not a good road team. They were 20-21 away from home during the regular season, which included a 17-24 mark against the spread. Meanwhile, the Spurs were 32-9 at home, including 24-17 against the spread. I'll take the Spurs to cover and put the Nuggets on the brink of elimination." Barner also unearthed an eye-popping trend for one team that has him jumping all over the spread in another game. Find out everything you need to know to complete your NBA parlay selections over at SportsLine. So which Saturday NBA picks should you back for a chance at a 6-1 payout? And what eye-popping trend makes one team a must-back? Check out Saturday's NBA schedule below, then visit SportsLine now to get Saturday's NBA best bets, all from the uncanny NBA expert who has hit 64 of his last 117 NBA picks against-the-spread. 76ers at Nets (+1.5), 3 p.m.
Nuggets at Spurs (-3.5), 5:30 p.m. Bucks at Pistons (+9), 8 p.m. Rockets at Jazz (-2.5), 10:30 p.m.